Conscious of the unstoppable rise of cannabis resin extracts and being themselves a group of concentrate lovers, some experienced growers from Los Angeles joined efforts in 2015 an creted Moxie Seeds & Extracts, a company dedicated not only to the production of top grade extracts, but also to breeding cannabis strains to produce the finest concentrates. Thus, and when breeding new strains, they’re mainly focused on resin production and quality. As we’ll see next, their catalogue includes both regular and feminised seeds, with some of the most reputed clones being used as parents: Goji OG, Lemon OG, Girl Scout Cookies Forum cut or Gorilla Glue #4 are just some examples. Let’s take a look now at some of the best strains of this seed company, doubtless one of the best on the current American scene. 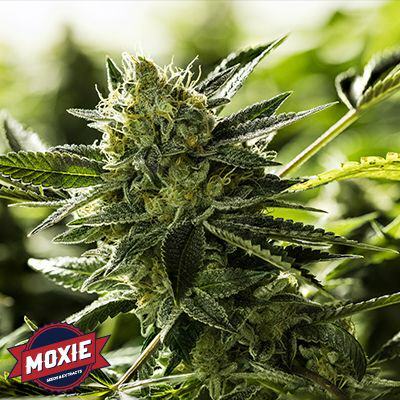 It doesn’t matter if you’re a lover of hashish, BHO or Rosin…you’ll find quite amazing strains in Moxie’s catalogue! 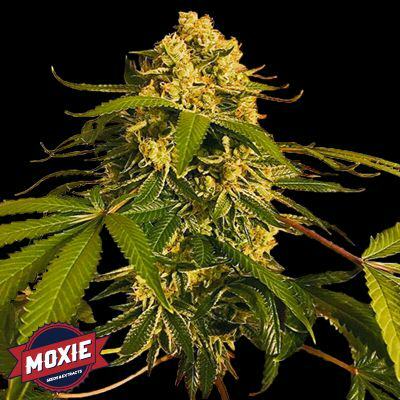 Alchimia puts at your disposal the following feminised strains by Moxie Seeds. As you can see, two plants have been mainly used as parents – Lemon OG and Viper City OG – both known for their excellent quality and awesome results when used for breeding new strains. It is a Lemon OG x Lemon OG cross (a clone from the Mendocino area) with Indica growth pattern, stable and quite fast (she only needs 8 weeks to complete her bloom). Lemon OG grows like a Christmas tree, developing a prominent main stem and shorter side branches. If you like plants with earthy flavour and intense citric notes you must give her a try. Moreover, her relaxing and pleasant effec will surely delight you! A Lemon OG female was also used to develop Lemonade Haze, in this case crossed with the famous Super Lemon Haze to keep her awesome citric flavour but adding Haze notes, which provide a more complex aroma. Despite her Sativa dominance, its structure is more similar to the Lemon OG, compact and bushy. Trichome production is astounding, as well as her scent and taste, lemony with notes of black pepper and spices. The effect is balanced, suitable to perform a wide range of activities. As the name suggests, Viper Cookies is a hybrid between Moxie’s Viper City OG and the notorious Girl Scout Cookies Forum. She grows compact, developing eye-catching purple hues and an incredible amount of resin glands, a wonder for any lover of concentrates! The bloom period takes around 9 weeks, with abundant production of rocky, frosty buds. The scent and taste are unique, a blend of fruity, creamy and spicy notes. The effect of Viper Cookies is relaxing, highly appreciated to treat stress and anxiety. Snake Venom is another strain developed by using the Viper City OG, in this case crossed with the one and only Gorilla Glue #4. Despite her Indica dominance, she grows vigorous and developing a beautiful dark green colour, probably inherited from the GG#4 parent. Without a doubt, the main characteristic of this strain is the quality and quantity of resin produced, ideal for resin extractions, as well as the purple colours that she acquires at the end of bloom. The flavour is earthy, musky and creamy, while the effect is ideal to relax after a hard day of work. Viper City OG XIII combines two of the most popular parents used by the guys at Moxie Seeds: to develop it, the Viper City OG female (Moxie’s OG flagship parent) was crossed with their beloved Lemon OG, which transmitted her citric scent and sturdy growth pattern. It is a cannabis strain ideal for novice growers, resistant to pests and very easy to grow. Its Indica structure stretches considerably during the first 2 weeks into flowering, a common trait in many OG genetics. She is ready in just 9 weeks, being perfect for outdoor crops due to her resistance to adverse conditions. Her Kush, citric flavour and relaxing effect will improve your mood instantly! 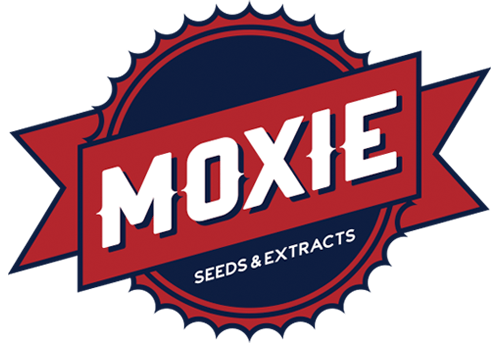 We’ll take a look now at the regular strains available in our cataogue of Moxie’s strains. In this case, all genetics share a single parent – another OG strain highly valued by Moxie – the renowned Goji OG by Bodhi Seeds. Super Goji Haze is one of the very few mostly Sativa hybrids developed by this Californian company. She is a cross between Goji OG and Super Lemon Haze, ideal for SCROG set-ups for her vigour and growth pattern. Her bloom period takes around 9 weeks, while her fruity, tropical flavour is simply outstanding. 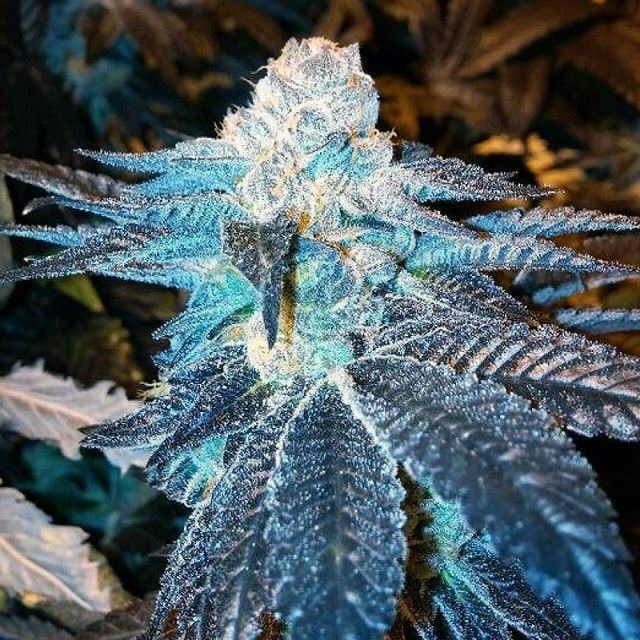 This strains comes from the cross between two OG plants, the Lemon OG and the Goji OG. The latter can reach an impressive 26% THC content, being a mostly Sativa hybrid between Nepal OG and Snow Lotus. Lemon Goji OG is a mostly Indica genetics that only needs 8 weeks to complete her bloom period, time in which she develops a large amount of compact, resinous buds. The scent is reminiscent of Kush lines, with intense fruity notes. The effect provides a very pleasant feeling of wellbeing, relaxing body and mind. Goji Cake was developed by crossing Moxie’s Goji OG with the acclaimed Jesus OG from TGA Subcool. The resulting strain is absolutely spectacular, with amazing resin production and suitable for pruning and training techniques like Low Stress Training (LST). She is ready to harvest after just 8-9 weeks of flowering, and is one of Moxie’s top yielders. 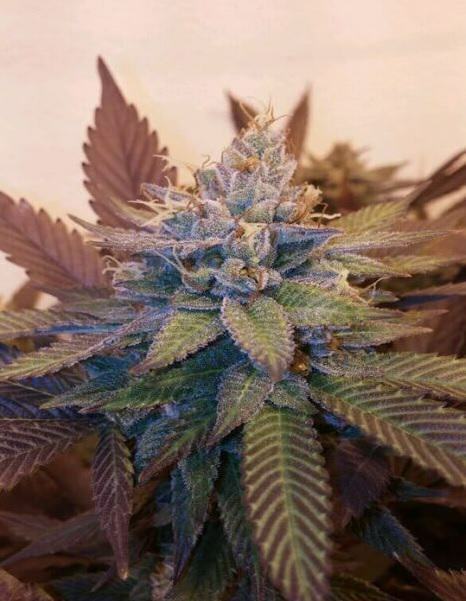 Her floral Kush flavour and sedative effect have already seduced many growers out there! As you can see, Moxie’s collection of strains is a true paradise for lovers of OG Kush genetics and resin extracts who look for superior quality and yields. Their strains have been developed with some of the most sought-after clones in the USA, while their extracts company represents the best possible test bench to assess the quality of their genetics.